Rare Los Angeles Lakers Upper Deck Authenticated team signed basketball. 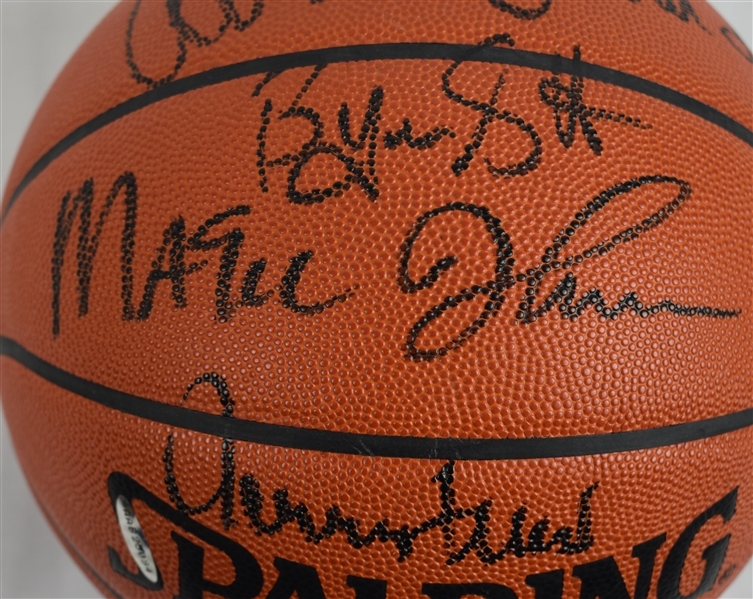 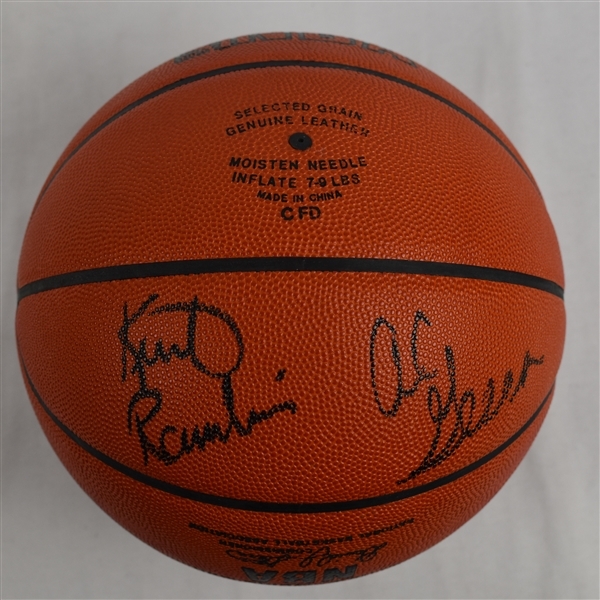 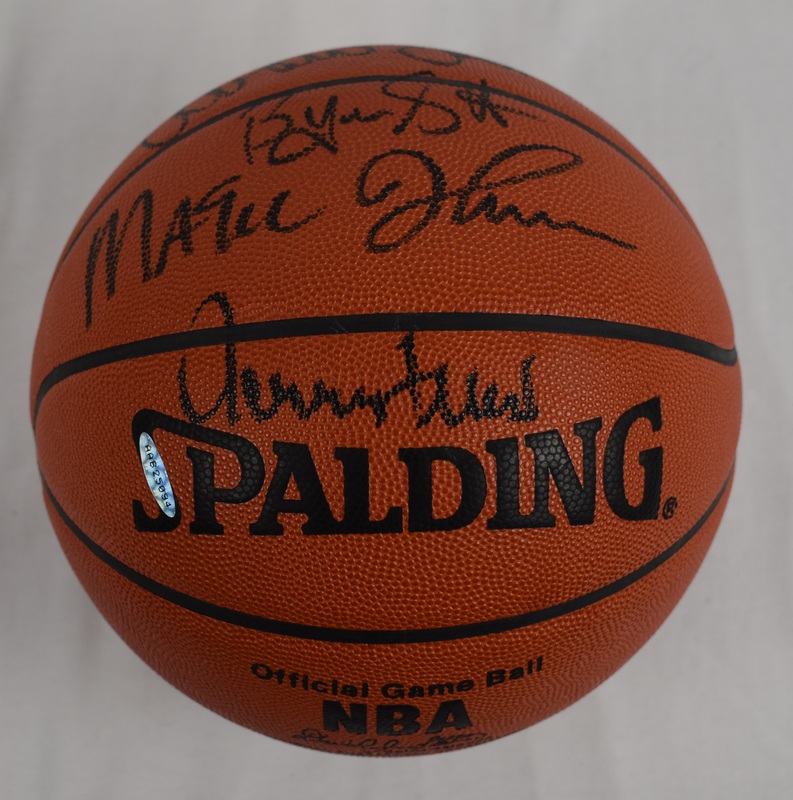 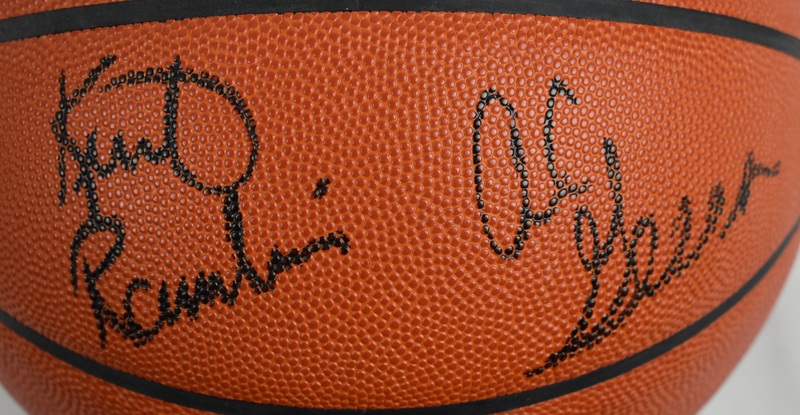 Signatures include: Magic Johnson, Kareem Abdul-Jabbar, James Worthy, Byron Scott, Michael Copper, A.C. Green, Kurt Rambis and Jerry West (General Manager). Originally purchased by our consignor from an Upper Deck catalog which is included in this lot. 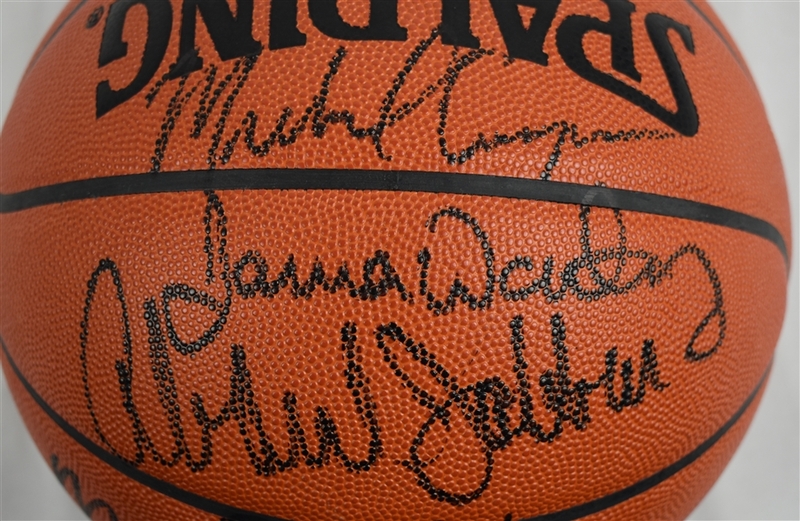 Upper Deck only did a limited production of 500 of these rare basketballs.